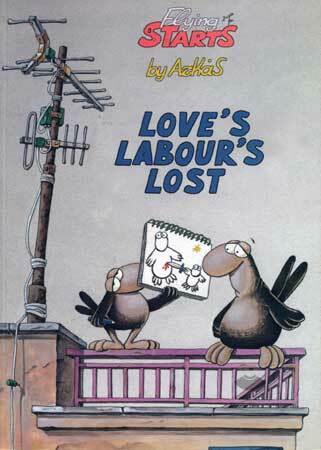 Love's labour's lost... is what the little bird tells his father when asked about his true feelings for him. And so it is: all the love that the father lavishes on his son is met only with sarcastic comments and aggressive behavior. In this fourth volume of Flying Starts the little bird really goes beyond the pale. In fact, his exasperated father finally decides to take him to a child psychiatrist who, after careful examination of the case, is quite satisfied... that this is not his own child!